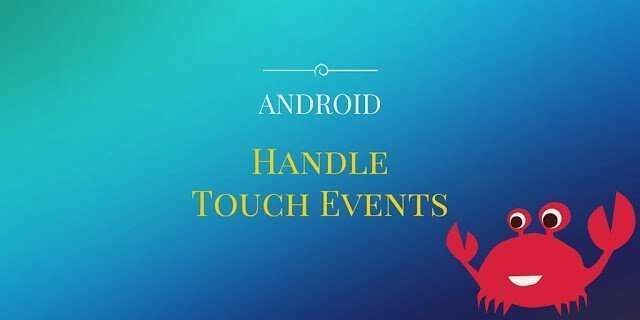 In this post i want to analyse how to handle multi touch in Android. Reading some posts around the net i found that are a bit confusing and not clear particularly when it comes the time to clarify how to detect how many fingers touching the screen. Now we have our custom view that is very simple and doesn’t do nothing. If we run our Android App we will have our empty custom view. and implement here the logic. The first thing we notice is we get as parameter a MotionEvent. This is the heart we will use such class to control the user fingers behaviour. Remember to return true at the end of the method to inform the SO that we have handle correctly the event. If you run your application and give a look at the log you will see all the events triggered when you touch the screen. I understand better the multitouch in Android. However, I'v a little problem. How can I differentiate 2 fingers tap and three finger tap. Because if a tap my screen with three finger it trigger also top finger tap. You should use int id = event.getPointerId(t); each finger has its id. I understand, but I've always the problème.